We need to think differently when it comes to B2B sales. The traditional differentiation between B2C and B2B is becoming more and more obsolete. Why is that? Well we shouldn’t forget that B2B buyers are still people, and the way people buy has drastically changed over the course of recent years. The changes in B2C buying cycle are influencing consumer’s expectations from B2B companies. Our constant exposure to smartphones, social media and various tech advancements have affected our behaviour and attitude. The line between B2C and B2B is getting thinner, although it certainly won’t disappear completely, the expectations people have in the “real world” will collide with their business environment. You may have noticed this change in expectations yourself. Maybe you wanted to find a good sushi place, you pulled out your phone, typed best sushi restaurant, got a list of names. But some were missing contact info, others didn’t have the menu on their website, and some only had a couple of reviews. And you got annoyed! Why isn’t all the info I need right now at one place. We have grown accustomed to having instant access to information we need, served to us on a platter. This effect goes way beyond how we buy things, so it’s completely natural for B2B buying cycles to be affected by our need for quick and easy access to information. However, providing easy access is just the beginning, which starts with omni-channel experience. Omni-channel is a term being thrown around a lot in recent years. It is an approach to sales and strategy that provides an impeccable customer experience across multiple channels, no matter if your customers are buying in person or online. 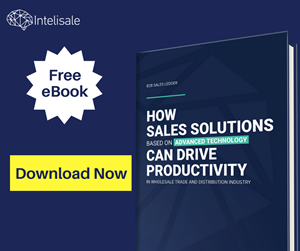 Intelisale’s platform enables your organization to implement an omni-channel approach by empowering sales whether its field sales, telesales, selling through email or soon-to-be eCommerce. 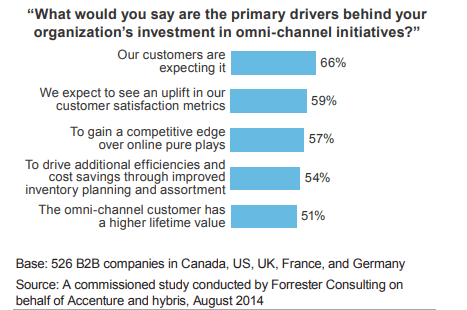 Look for any major B2B trends study in the past five years and you will see omni-channel being mentioned. We already wrote about why wholesalers need omni-channel sales solution, as the distributors of the future will carefully study and learn from the advancements in retail and utilize relevant B2C practises in their own businesses. In essence, the role of omni-channel is to provide streamlined buying experience across all channels, to simplify the process and provide added value by reducing time and effort spent on mundane tasks. 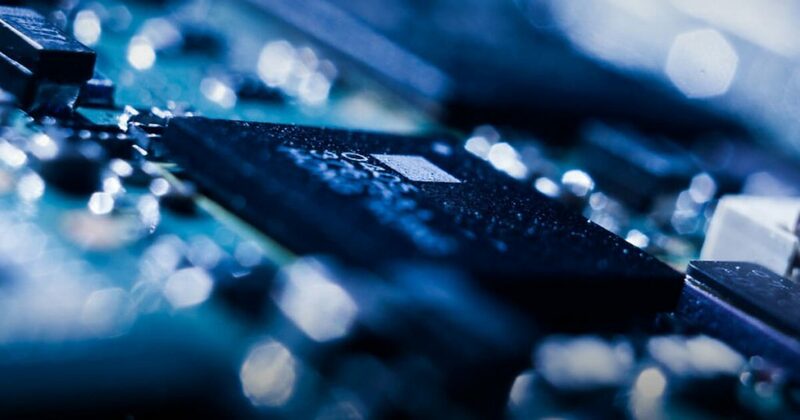 Whatever the importance of omni-channel may be, we at Intelisale like to think beyond what is happening right now and we look at the big picture. That is why we developed a solution which takes omni-channel to a whole new level. In many markets omni-channel has become the norm, it’s no longer a novelty. It is something B2B buyers expect right now! The truth is – to create added value you cannot rely on just meeting the customer’s expectations. In order to provide a truly unique experience you must exceed what people have been accustomed to and outperform everyone else on the market. Even though technology caused this “problem” by changing our daily habits, technology is also the solution. The future of industrial development relies on Artificial Intelligence so it’s only natural to implement an AI-powered omni-channel sales solution in the future. 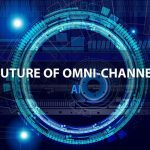 But how will AI improve omni-channel sales? Below we listed major B2B buyer’s expectations and explained the role of AI in exceeding them. Many of us have witnessed how retailers leveraged our digital footprints to deliver tailor-made buying experience, from using our names, gender, location or by making recommendations. What does this exactly mean for B2B? A 2018 study about the Buyer-Seller gap from Miller Heiman provided some insight into what buyers want. Most successful sellers have one thing in common – they understand their buyer’s business. Consumers have become accustomed to having their needs and preferences well known, so when a seller asks the company to tell them about their business, they set themselves up for a bad start. It’s clear, sellers need to do their research. And machine learning can help with that. Salespeople are most effective when selling, and research takes time, which could be used with much better return on investment. Automation of research can be done, as it was the case with Primer’s ML application Quicksilver, which analyzed the web and made Wikipedia articles. “But what about the companies with no online presence?” Uhm, are we living in the same century? Okay, there are some industries which are more closed off than others. However, predictive analytics can analyze an existing customer and apply the data to make a model of a potential lead. It is much easier to do when all your business data is connected in a single hub, which we at Intelisale strive for. Machines will be much more capable at analyzing a huge amount of data and figuring out the patterns that increase effectiveness. 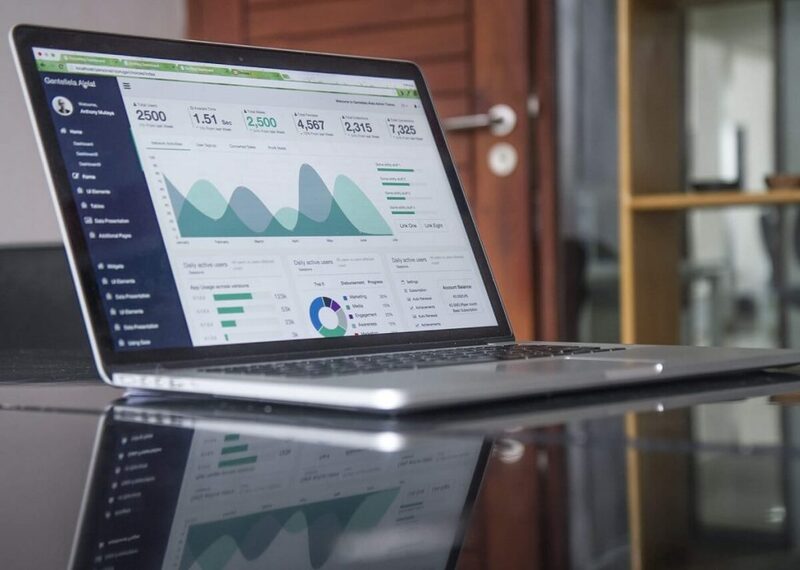 With that knowledge it will be much easier to know exactly how your product or service brings value to the customer, and you will know the best way to present it. Buyers want information and they want it fast. As you can see from the study conducted by Salesforce the majority of buyers want immediate response when using phone or online chat/live support. You can achieve immediate response on a phone by employing one or more persons or setting up those pesky automated responses (to choose country music while reading this blog press left click ). Now imagine having the ability to answer to 100 people at the same time without the above. “But AI will probably sound like RoboCop”… We would argue that would actually be awesome, but you can listen how Google assistant scheduled a haircut with calling a real hair salon. It sounds so… human. You can easily see how this could replace call centers in the future, maybe not entirely but in a certain level at least. This technology is still in the works, but the next best thing are AI chatbots, which replace human interaction in text messaging. AI website chatbots have been on the market for at least two years, but they can be made even better. An AI based solution could connect all the company’s BI into a single point which can empower chatbots to be more accurate and helpful when answering simple questions. The same study from Miller Heiman also listed how buyers feel like sellers don’t commit enough resources for maintaining a relationship beyond the sale. This is especially important when the product is more complex, which is often the case when doing business to business. 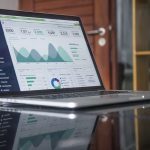 AI powered solutions will help customer success teams as they will have less on their hands in providing post sales support, because the solution itself will act as an assistant rather than a tool. The strongest relationship between buyer and seller is considered to be a trusted partnership. Where the seller is able to do much more than simply providing an acceptable product. Companies want to do business with sellers who possess a unique understanding of their organization, the whole marketplace and what is the position of their buyer in relation to other players in the industry. 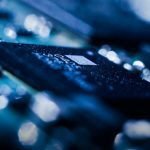 The best sellers are able to provide expertise and perspective to a company, which is impossible to do without mastering big data management and utilizing AI and ML principles. 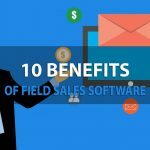 However, this doesn’t mean your sales rep will have to take a course in AI or employ a data scientist. No, the sales software of the future will utilize AI and act as an assistant to your sales team. A study done by Forester reveals that B2B buyers want their suppliers to be able to integrate with their back-end. You can see by how that having an AI B2B sales solution is paramount for the future of your company. Artificial intelligence is advancing more and more, it’s not a matter of if all these things we talked about happen, it’s about when they will happen. If you are searching for the next big thing for your business, you are on the right track by reading this post. 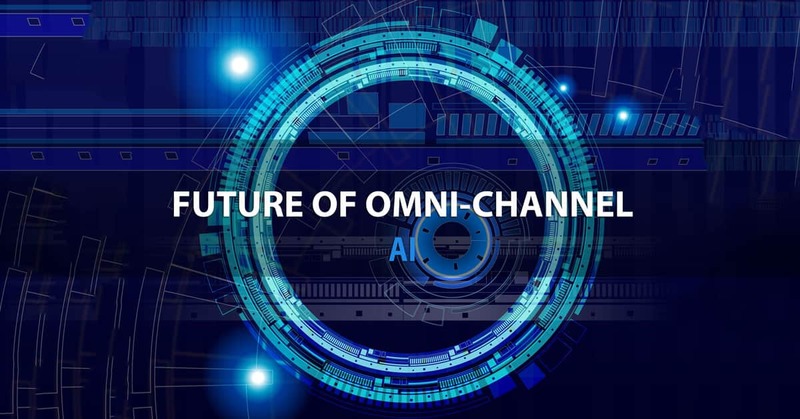 As it’s the case with Amazon, Google, IBM and the rest of AI pioneers, we at Intelisale work continuously on developing and improving the functionalities of our omni-channel sales solution. If you would like to see it in action be free to schedule a demo.